Or as low as $54.08 per month over 12 months. Apply Now. Or as low as $1.67 per month over 12 months. Apply Now. Or as low as $175.00 per month over 12 months. Apply Now. 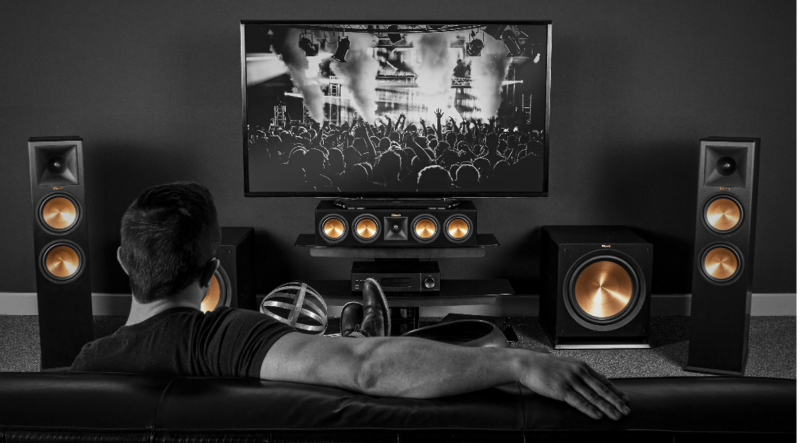 With the Klipsch RP-280ATMB floor-standing speaker take your home theater experience higher. This Atmos enabled tower is ready to deliver a new and more thrilling home theater experience with Dolby Atmos soundtracks. Not familiar with Dolby Atmos? This new home theater technology creates a “height” layer above your listening area for more immersive and realistic surround sound. And the RP-280FA looks as fantastic as it sounds. A gorgeous real wood veneer finish makes this tower an ideal cosmetic match to the Klipsch RP-450C center channel speaker, and an attractive addition to any home theater. How does this speaker work? 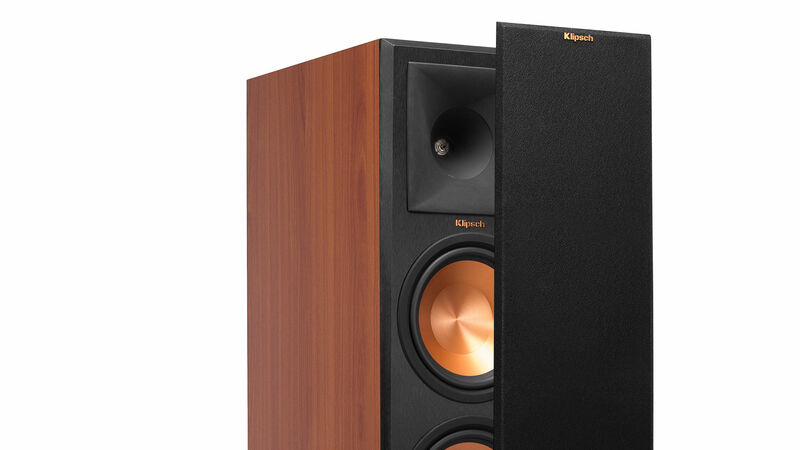 Along with their forward-firing, dual 8″ woofers and signature Klipsch horn tweeter, each Klipsch RP-280FA boasts an upward-firing driver array built into the top of the enclosure. These drivers are angled and feature controlled dispersion, so they can reflect sound off of your ceiling and back down to your listening positions. 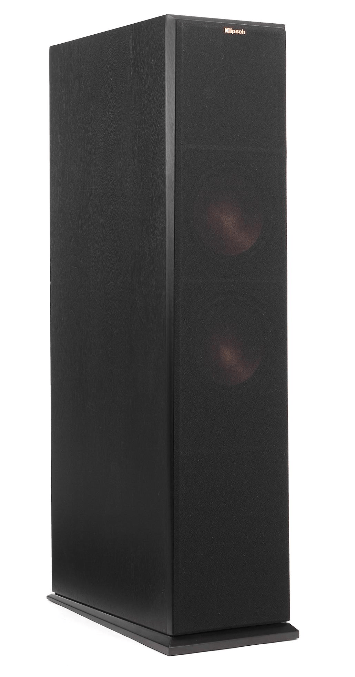 And by using voice-matched drivers for both the top and front positions, the RP-280FA creates an exceptionally seamless, multi-dimensional space that puts you inside the action. The new Reference Premiere Series builds on the acoustics and technologies of Klipsch’s classic Reference Series, with important enhancements that provide an even more intense listening experience. 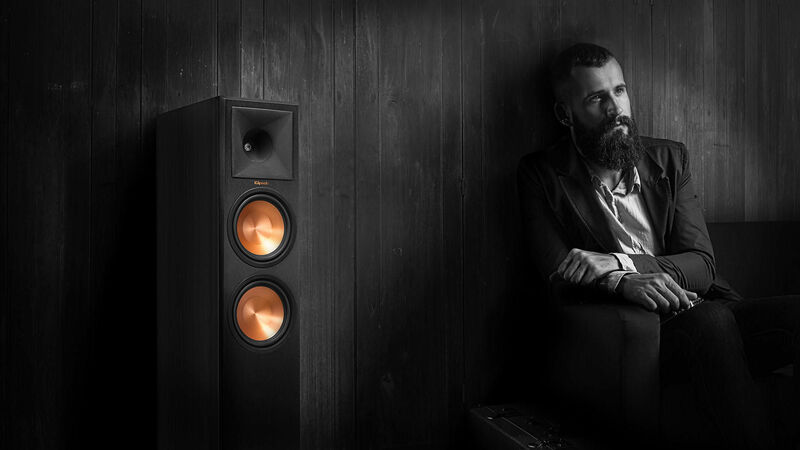 Klipsch’s newly designed Hybrid Tractrix horn features a circular throat around an advanced titanium diaphragm tweeter that transitions into a square 90º x 90º mouth. This unique shape provides a cleaner, more efficient transition of sound waves into your listening space, for a wider sweet spot with more precise placement of instruments and vocals. Even the horn material itself has been upgraded to molded silicone rubber that helps decrease resonance for smoother, warmer highs. This Reference Premiere speaker also uses a Tractrix horn-shaped port for smoother, more efficient airflow in and out of the cabinet. The resulting decrease in air turbulence makes for cleaner, more powerful bass with reduced port noise and low-frequency distortion. 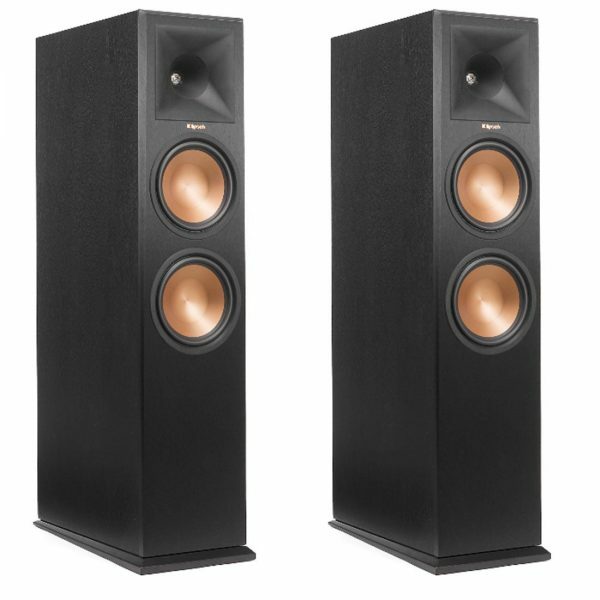 The Klipsch RP-280FA’s Cerametallic woofers use a newly developed titanium voice coil former that allows more linear movement for enhanced efficiency, lower distortion, and extended low frequency response.